Work has started today on relighting Marble Arch. 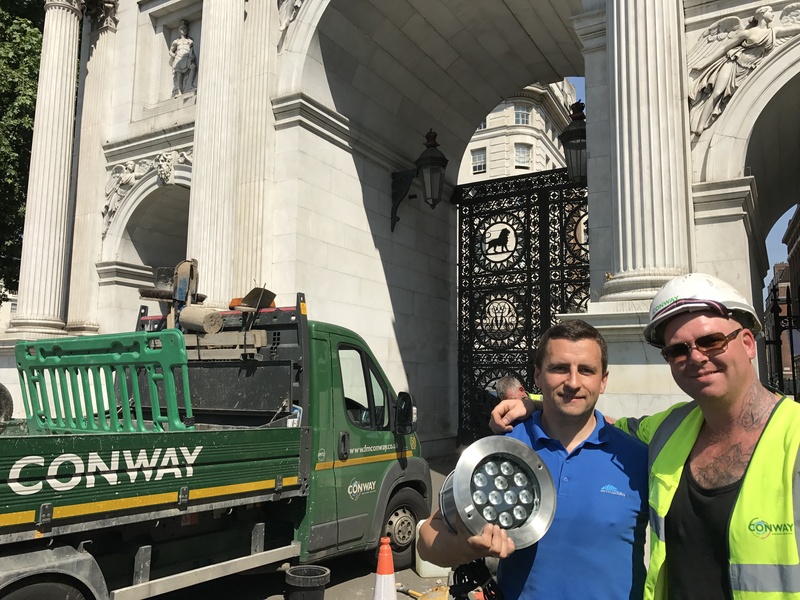 Westminster City Council, their highway contractors FM Conway, and specialist lighting team Armadillo Lighting, commenced on site on 19 June, replacing the uplighters surrounding the Marble Arch monument. The new in-ground LED lighting will illuminate the monument from all sides, and includes a colour tuneable function to enable colour washing for themed events. In addition to the 32 new lights, the surface surrounding the Arch will be replaced with York Stone, in a programme estimated to take up to 12 weeks. 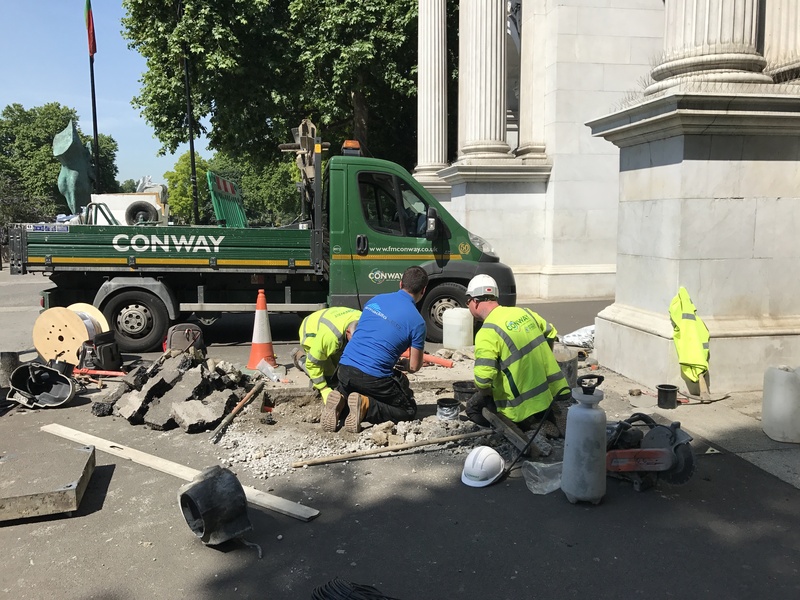 Investment by Westminster City Council at Marble Arch in the last nine months is close to £200,000, including the re-lighting and surfacing scheme which is valued at £160,000. Other investment has seen new cycle parking ordered, benches repaired and repainted, flagpoles repainted and repaired, new bins and deep cleaning of surfaces below trees to remove pigeon droppings. This programme is the outcome of successful joint working between Marble Arch BID and Westminster City Council, and the creation of a new management plan to improve service co-ordination between Parks, Highways, Cleansing and Marble Arch BID’s street team.